Badbreed have just announced the release of their new Spartan compression top and shorts, with the Badbreed logo proudly on show. Perfect if you’re not interested in flashy designs, but want the benefits of some well-fitting compression gear. Bytomic have just added some more items to their existing AXIS range, including MMA Gloves and Shin Guards, with some new Focus Paddles to finish it off. Combat Corner are releasing two new colours to their HMIT range, coming in white or black with gold highlights. We think both versions look great are perfect if you like a more refined visual style. One of our most popular articles here at Fight Quality is our review of Everlast’s Pro Style Elite Boxing Gloves (Check it out here). We found that for the super low price range it performed fairly well. Now, everlast have just released an improved version of the range, with an updated style more in line with their more expensive glove ranges. See our reviews of other Fairtex equipment. We’ve tested and reviewed some of Fairtex’s Muay Thai Shorts and found them to be pretty good overall. Well now it looks like Fairtex are reinvigorating the range with some new designs coming soon! So far they’ve only teased one design, but the blue version they have shown appears to have a more ‘Retro’ fit and a great visual style, similar to the beautiful Wicked One shorts we tested. Also make sure to check out the great looking collaboration with Dutch brand Patta. 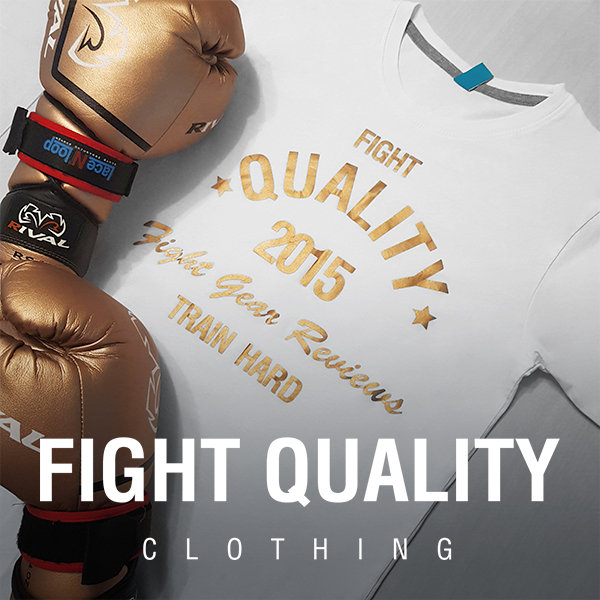 We’re really enjoying the creativeness of the recent Fairtex collaborations. If you haven’t seen it already, we’ve recently been testing Hayabusa’s new T3 range. If you like the T3 range, then you’ll definitely love the T3 Kanpeki range, which uses the T3 model as a base, but with a vintage brown, full grain leather covering. InFightStyle always smash it with their Muay Thai shorts – We’re still in love with the Odyssey shorts we’ve reviewed. The latest release are no exception, with the new ‘Vector’ design featuring an angular, modern style. Ringside are a big name in the UK, and the new ‘Focus’ gloves are their latest release, featuring additional forearm and wrist padding, as well as a slightly different wrist enclosure, which hope to add more support and protection when sparring. Okay, so bomber jackets aren’t the sort of release we usually try to cover, but this isn’t just any bomber Jacket. Tatami are releasing a brand new 50/50 Gi material bomber jacket, which is an awesome, yet subtle way for MMA fighters and grapplers to represent Jiu Jitsu outside of the gym. In August 2017 we shared Title’s new Golden Boy Boxing range. This month, following on from that, Title have released a special range dedicated to one of Golden Boy Boxing’s founders; Oscar De La Hoya. The gloves have strong Mexican vibes, as well as Oscar’s own signature across the back of the hand. Alternatively, the new Muay Thai range might be more up your street, bringing a new set of Title equipment aimed towards the art of eight limbs. Punch Equipment’s new Thai pads look bold and sturdy, exactly what you hope for with a good Thai pad. The pads feature just a single wrist strap for increased movement, as well as a padded section where the wrist sits for added comfort. Venum have been releasing a lot of new rashguards lately, with almost every design imaginable. The new Bloody Roar line comes in red or grey, and look great.